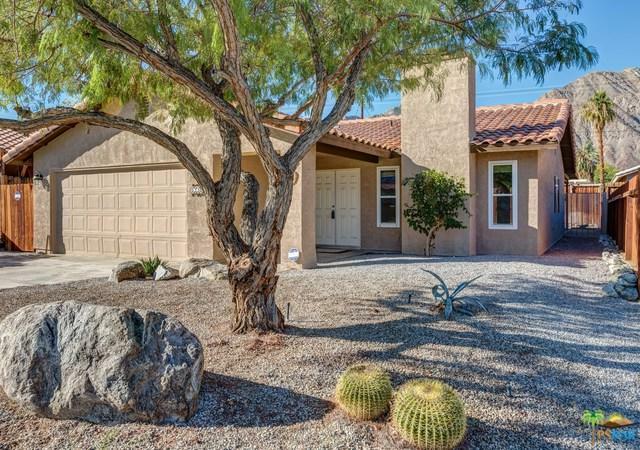 RECENTLY UPDATED in La Quinta Cove, this lovely updated 3 bed/2 bath family home is styled for desert living. 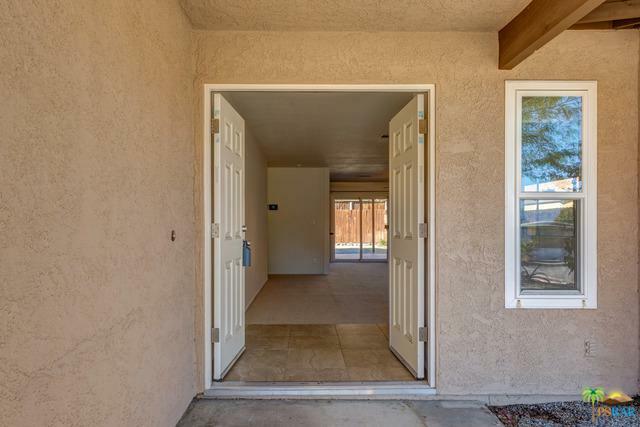 Step inside and you are greeted by a formal entry, sizable great room boasting newer sliders, granite surround fireplace and plenty of wall space to accommodate a big screen TV or to showcase artwork. 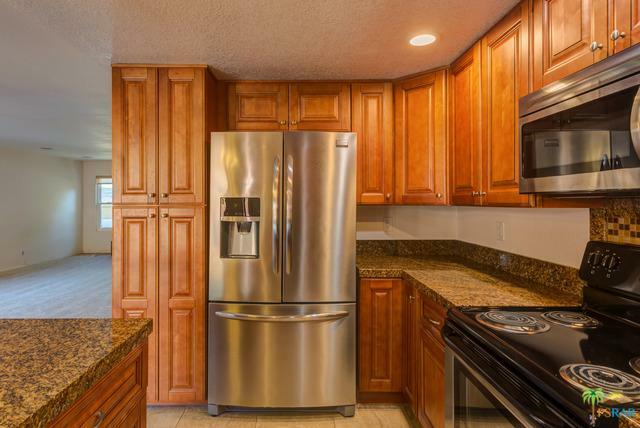 The kitchen is equipped with stainless steel appliances, rich toned cabinets and beautiful slab granite countertops. A spacious ensuite master bedroom features a walk in closet, a bathroom with dual sinks, granite counters and newer fixtures. Both guest rooms are sizable with generous closet space. 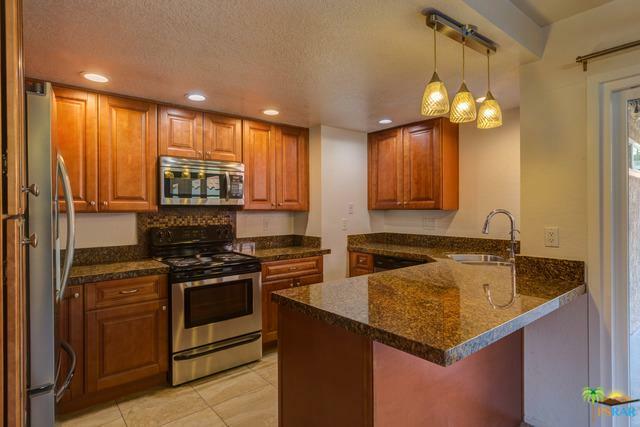 A second full bathroom is fitted with newer fixtures and granite countertops. Outdoor living includes low maintenance landscape, a covered backyard patio, and stunning mountain views. The two-car attached garage has ample storage and a workbench. All this plus brand new carpeting and newer HVAC system. Listing provided courtesy of Brian/Kerri Sullivan Real Estate Group of Keller Williams Luxury Homes.